Lexus introduced its F Badge models in 2008, to present ferocious looking powerful cars. 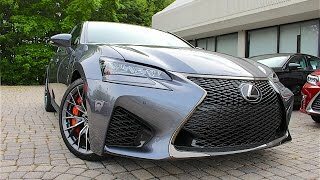 After introducing IS F, RC F Coupe there is new member in the Lexus F family, the 2016 Lexus GS F. With the information shared the newly introduced model looks like prepared to battle with the high in class BMW M5. Let’s see how far it can travel. 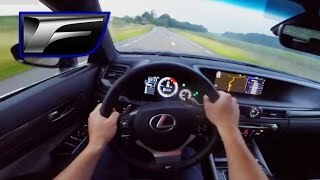 The interior of Lexus GS F 2016 carries the Lexus luxury compiled in sporty arena. Though not much has been revealed till date but as revealed the all new GS F 2016 comes with bolstered bucket seats carrying dual tone colors over stitched leather lines. The headrests above are embossed with F logos, while anticipations say that the seats might come with heating and cooling options. Dashboard now replaces the wood trim and comes with carbon fiber works. 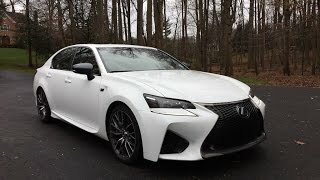 The exterior of Lexus GS F 2016 carries lot of similarities with the recently released RC F. However talking about the attractive eye gleaming incorporations, the front fascia gets its aggressive look through a massive spindle grille with a carbon lip adoring bottom. Fog lights have been replaced with the large cooling space for brakes and redesigned headlights above the sharp angular LED running lamps. Moving the rear fascia of Lexus GS F 2016, changes include the alloy wheels, broader fenders redesigned exhaust and side skirts. Taillights get a darker design and a carbon fiber lip spoiler accompanying them together. 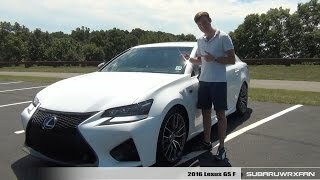 The Lexus GS F 2016 gets its power through the massive 5.0 liter V8 engine producing 467 Hp and 527 nm torque mated to eight speed automatic transmission. Though the performance specs for the model are yet to be released but looking at the engine specifications the figure is anticipated to be around a top speed of 175 mph. However we can’t give a surety at this moment, so let us all wait for the next updates related to this aggressively stance new member in house.